A court ruled Thursday to continue the trial of two women from Vietnam and Indonesia accused of killing Kim Jong Nam. The decision was a blow to the suspects' families who insist the pair were tricked into carrying out the dramatic hit. 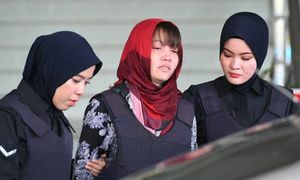 After hearing the prosecution case, the judge said there was sufficient evidence to support a murder charge against Siti Aisyah from Indonesia and Doan Thi Huong from Vietnam, accused of assassinating Kim Jong Nam, the half-brother of North Korea's leader, with nerve agent VX at Kuala Lumpur airport. 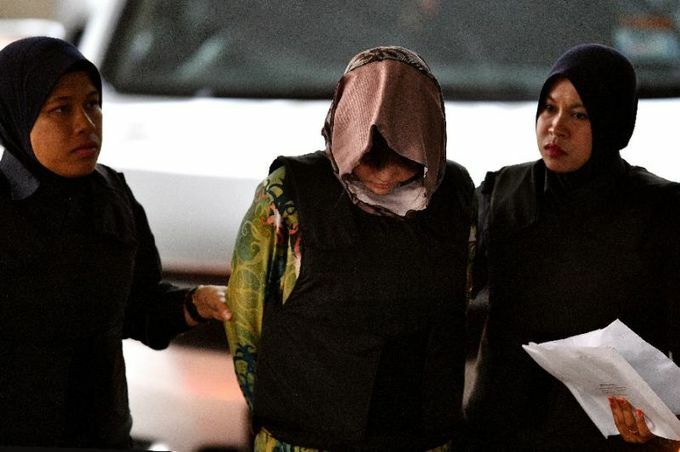 Judge Azmi Ariffin said the evidence presented in court since the trial started in October pointed to a "well-planned conspiracy" with a group of North Korean suspects who are still at large. "I must therefore call upon (the suspects) to enter their defence on their respective charges," he said in his ruling to the Shah Alam High Court, outside Kuala Lumpur. The women, who are set to testify during the defense stage of the trial, looked shocked and tearful as the ruling was handed down. The judge could have chosen to acquit the women if he thought the evidence was insufficient. Their families insist the pair were tricked into carrying out the Cold War-style killing, and had been hopeful they would be acquitted, although state prosecutors insisted they had a strong case. "She knows nothing, she was fooled. The case (against her) was made up," Aisyah's father, Asria, told AFP from the family's village on Indonesia's Java island. Her mother Benah added: "This is unfair. I wanted her to be released today but if the court refuses what can I do? I can only pray for the final verdict." But prosecutors, who likened the murder to the goings on in a "James Bond" movie, argued the pair were well-trained assassins who knew exactly what they were doing. During months of hearings, the court has been told that four North Koreans -- who are formally accused alongside the women -- recruited the pair and were the masterminds, providing them with the poison on the day of the murder before fleeing the country. In his ruling, the judge said that the footage "showed that they had the knowledge that the liquid on their hands was toxic." "We are deeply disappointed with the ruling... We will do our best at the defence stage," said Aisyah's lawyer Gooi Soon Seng.